To improve your marketing, define your Brand. People seem to believe Direct Response marketers don’t like Brand marketing. That we’re somehow arch-enemies in the world of advertising. We directs love great branding. And there’s a simple reason for this. 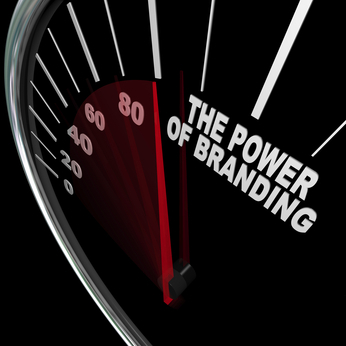 Within a month or 2 of starting internet marketing for a new client, we can tell if a business has a strong local brand. The search volume relative to population, click-thru rates on those clicks, and even conversion rates of the website all give us clues to the strength of your business name in your local market. When you ask most people about branding they start thinking of broadcast media, logos, and slogans. Are your service trucks and the decals painted on them part of your branding? What about how you answer the phone? Is the quality of your work? 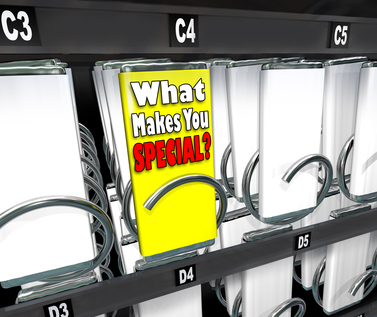 Can your pricing be part of your brand? How about your team culture? All of these are part of your brand. Brand is the aggregate experience of your value proposition. I love branding because the data shows that it works. In other words, if you have a great business that delivers a truly unique product or service in a way that retains customers, then getting results from any form of advertising is a whole lot easier. Recently a company came to my home to clean my carpets. They cultivate their advertising by building up relationships with locally influential people, like my realtor friend who referred them to me. That’s great marketing. They come to my home and about 45 minutes later I notice they are packing up so I go to check on things. They forgot about my area rugs that we discussed twice. They also never let me know they wouldn’t move anything. Not even the chair in my office (on wheels). From my perspective as a marketer, their marketing DID work. I DID hire them, however their branding was very poor. The worst part is, they did a great job, had a fair price and were very personable. Introduce themselves and explain exactly what they are doing today and that they don’t want to move things that are valuable so if there is anything they need to clean under, please move those now. Double-check with you before wrapping up that everything is done to your satisfaction. They did ask me how often I cleaned my carpets and then recommended I clean them every fall and spring. Fat chance I’ll ever remember that. How many people get their carpets cleaned regularly every 6-months? Imagine the impact on that business from offering this one service. The lifetime value of each customer would sky-rocket which would allow the owner to spend more in marketing to acquire each new customer. Branding is setting an expectation. The strength of your brand is in how well you foster that expectation. Great branding requires a unique value proposition. If you want to improve your marketing and get better results, where do you start? You could call me and I guarantee my team will get you better results online, however we will ask for your value proposition (also called a Unique Selling Proposition). Most marketers will never ask you for this. Most “brand experts” fail to understand that a brand cannot exist without a value proposition. This means that 90% of your competitors are never going to define their value proposition and therefore will never be able to create a lasting brand. If I’m your ideal customer, why I should do business with you rather than your competitors? If not, go to your calendar right now and schedule 2 hours this week to sit down, block out all interruptions, and figure that out. In the early 1900’s, legendary direct marketer and author of My Life in Advertising and Scientific Advertising , Claude Hopkins, took on Schlitz Brewery as a client. I saw plate-glass rooms where beer was dripping over pipes, and I asked the reason for them. They told me those rooms were filled with filtered air, so the beer could be cooled in purity. I saw great filters filled with white-wood pulp. They explained how that filtered the beer. They showed how they cleaned every pump and pipe, twice daily, to avoid contamination. How every bottle was cleaned four times by machinery. I came back to the office amazed. I said: ‘Why don’t you tell people these things? Why do you merely try to cry louder than others that your beer is pure? Why don’t you tell the reasons?’ ‘Why,’ they said, ‘the processes we use are just the same as others use. No one can make good beer without them.’ ‘But,’ I replied, ‘others have never told this story. It amazes everyone who goes through your brewery. It will startle everyone in print. So he put their story of quality control and purity in print and as a result they jumped from 5th to tied for 1st in market share. Often your Value Proposition isn’t something completely unique. It’s just something that you communicate more clearly than your competitors. I’m an engineer so I don’t do wishy-washy and touchy-feely very well. Which is why I love great branding. When you understand that your brand is the aggregate experience of your value proposition and you have a great value proposition, you understand there are plenty of ways to test and measure the power of your value proposition. It’s easy to measure the power of a value proposition in Google Adwords Click-Thru-Rates, A/B Split-tests on websites, email headline experiments and even in conversations with customers. That, however, is the easy part. The hard part is for your entire business to deliver on the expectation created by your advertising by living your brand.